This Chinese New Year is the Year of the Tiger, which I like very much, since so is my birth year (and the birth year of one of my sisters). 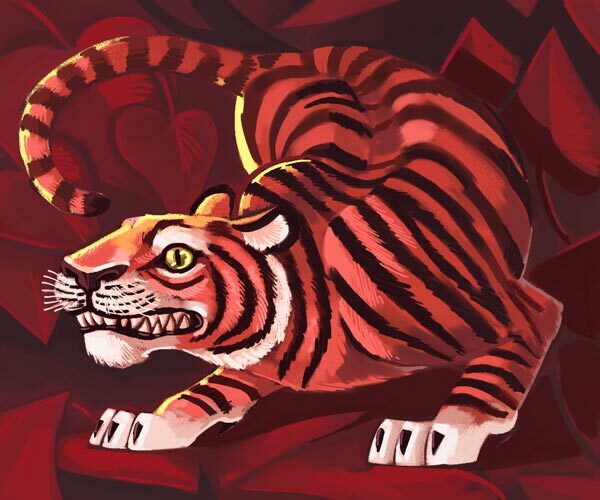 So I want to make some tiger art. Then when I looked up the date for Chinese New Year, it said it was on February 14–Valentine's day. I might make another, more Valentine's-day-like image later, but here is something to begin with.